Created in a distinct Norwegian style, this well-loved cradle has witnessed a long life as evidenced by its numerous repairs. The date 1846 is carved into its headboard. But this date differs from a 1920s photograph from the Society’s archives. 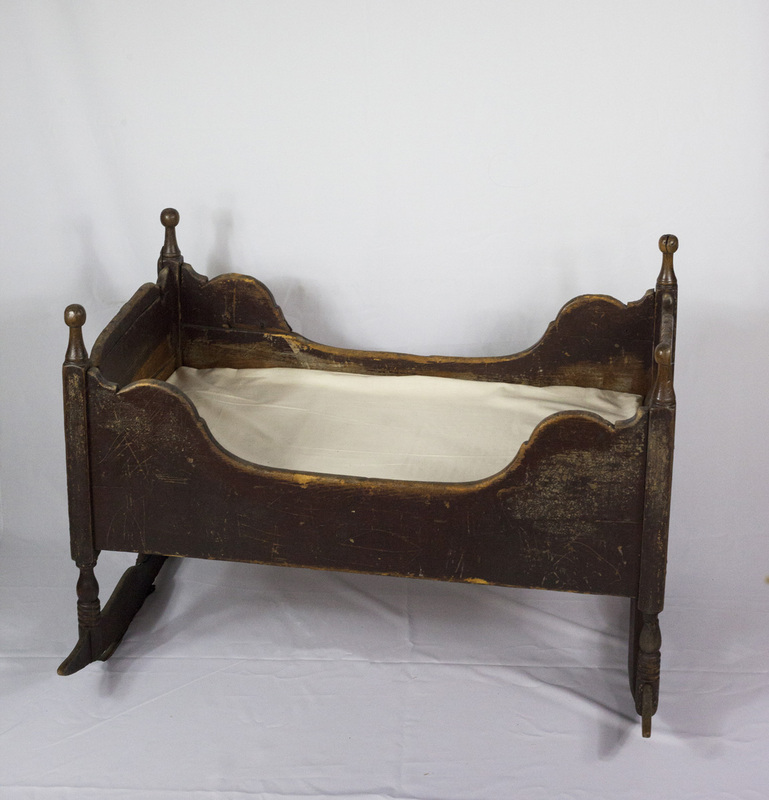 A handwritten note on the back of the photo states: “This cradle was made in the year 1855 by uncle Sever Syverson at Black Earth Wisconsin.” Often times, family lore and family history present contrasting dates and stories. 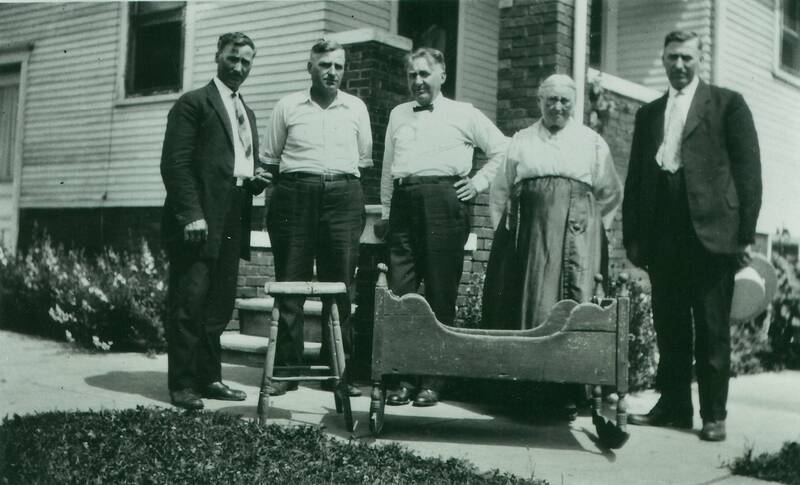 In about 1920, descendants pose with the cradle and another furniture piece handcrafted by Sever Syverson. MHAHS 4×6.04075.